Baker Heart and Diabetes Institute 32 page A5 Health and Wellbeing Passport. 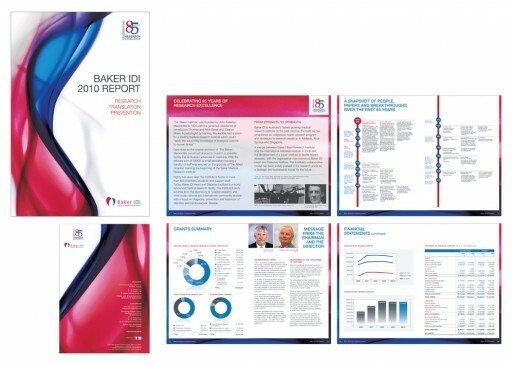 Baker IDI AusDiab Study 2012 92 page A4 report. 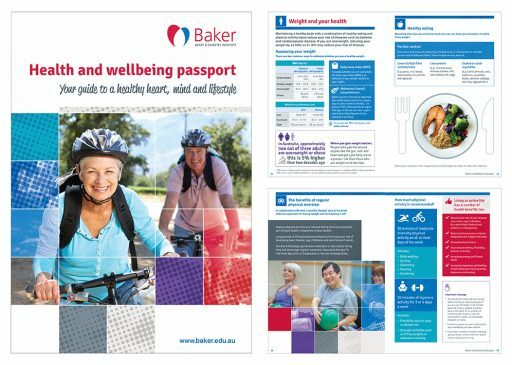 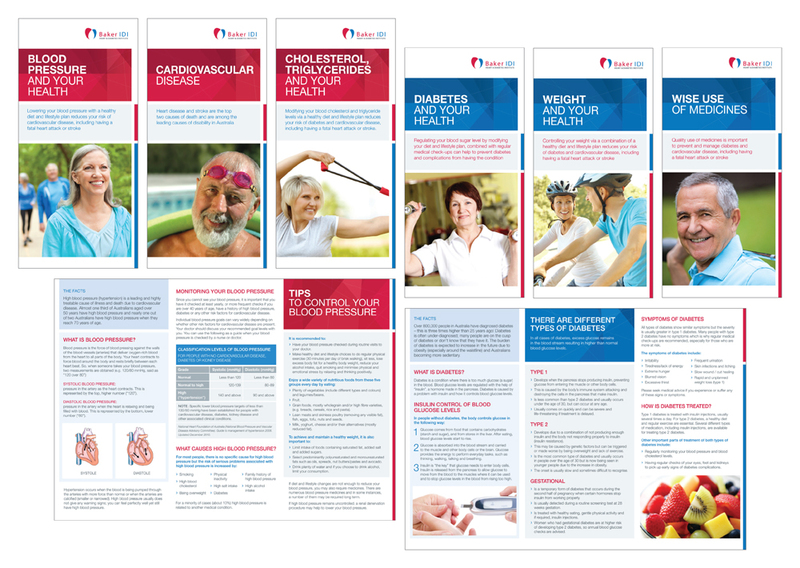 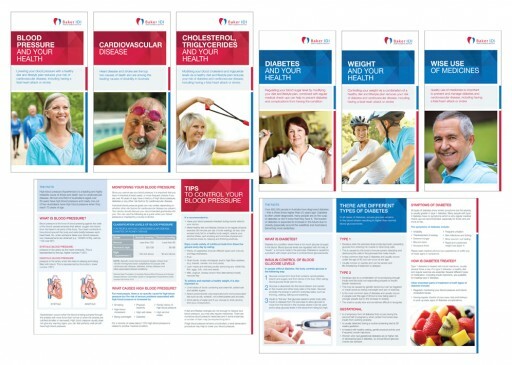 Six Baker IDI Preventative Health 6 page DL brochures. 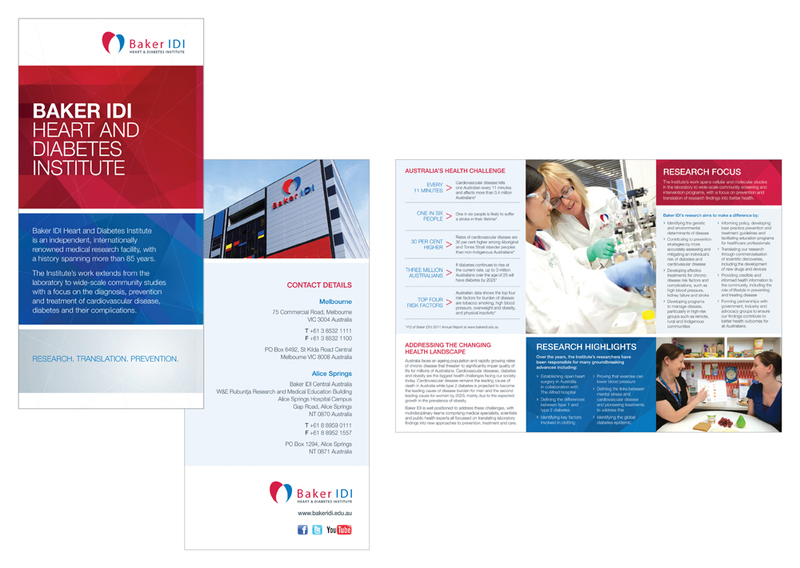 Baker IDI 6 page DL generic brochure. Baker IDI 6 page A4 trifold AusDiab 2012 yearly newsletter. Baker IDI 28 page 2010 Report. 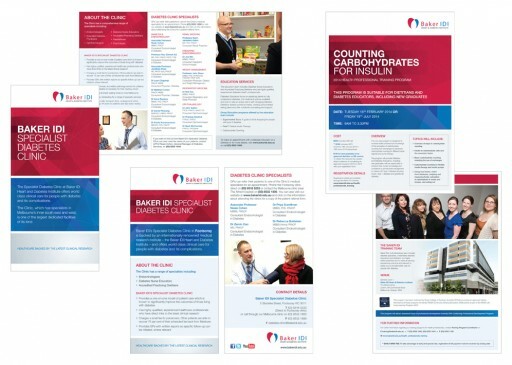 Baker IDI Specialist Diabetes Clinic 6 page DL brochure and a 2 page DL flyer and eight Health Professional Training Program 2 page A4 flyers. 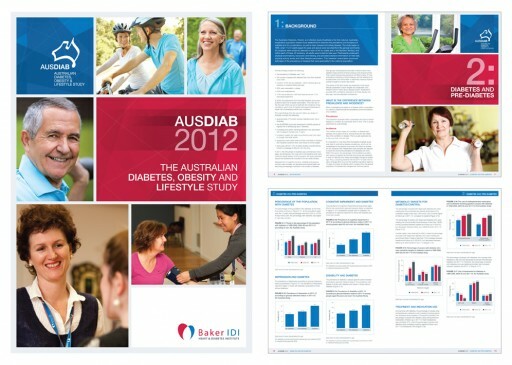 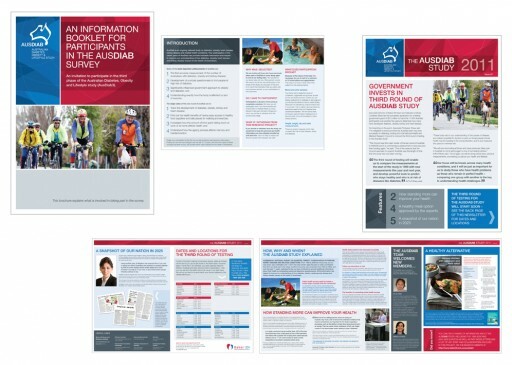 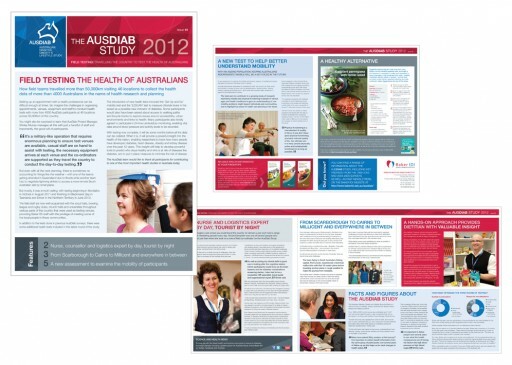 Baker IDI 6 page A4 trifold AusDiab 2011 newsletter and a 6 page A5 trifold AusDiab Patient Information booklet. 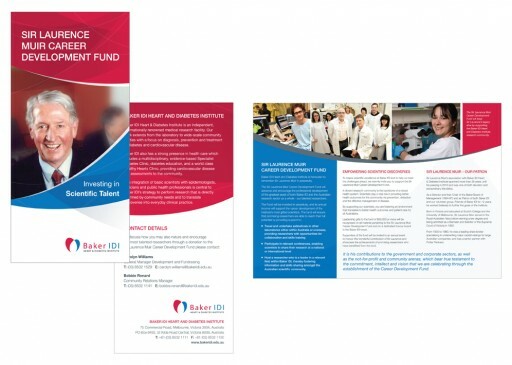 Baker IDI 6 page DL trifold flyer for an Endowment Fund that is aimed to honour a past patron of the institute and also to support career development of scientists. 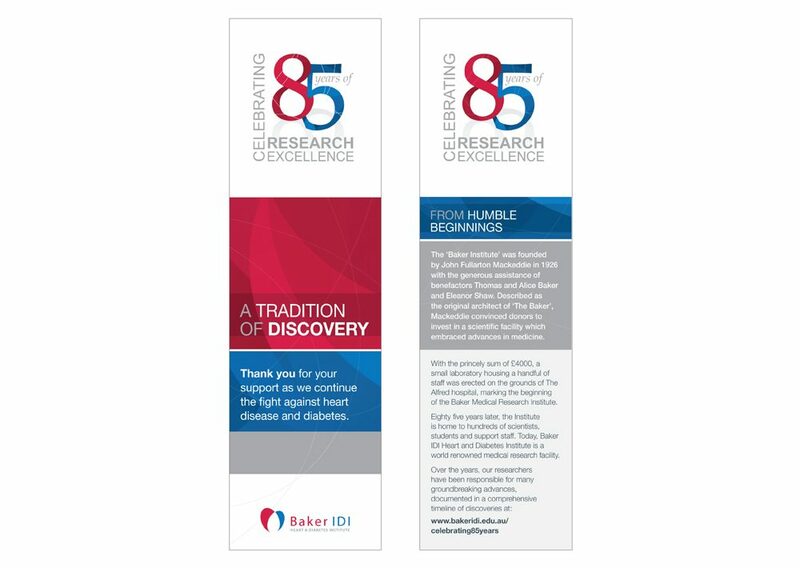 Baker IDI 85th Anniversary double sided bookmark with metallic silver.